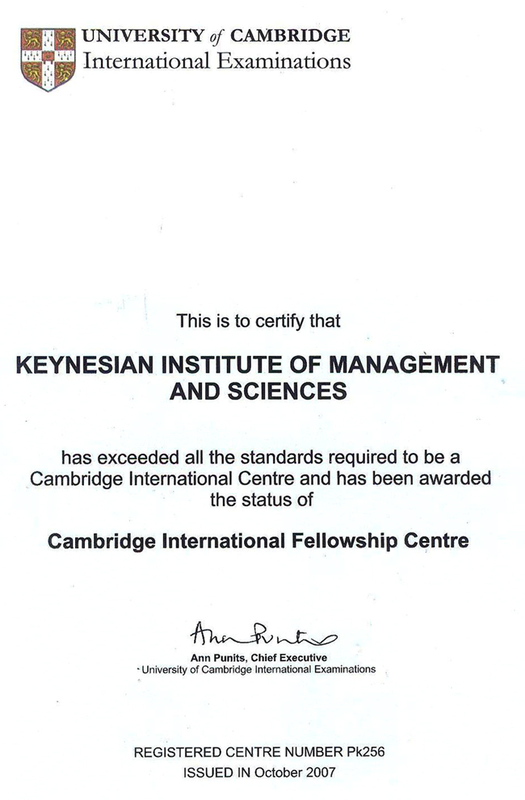 KIMS is a Cambridge International Fellowship Centre. A feature on the CI website - CI would be happy to publicise our association with Cambridge on their website. Fellowship Centre pages are based on their Associate Partner pages, which can be found in working with CI section of their website. An opportunity for our A Level students to win a scholarship for higher education - This scholarship is worth £1000 per annum and provided for three years. We are entitled to send two nominations of our students who have performed the best in the November/June Cambridge International A Level examinations and are continuing directly into higher education.